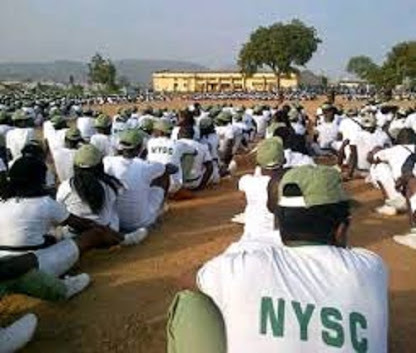 National Youth Service Corps (NYSC) in Kwara state has lost a female corps member currently at its Yikpata, Edu local government area’s camp. The lady, Hilda Eva Amadi was said to have died due to injuries she sustained during the “Man o War” drilling exercise at the ongoing orientation camp. The deceased who studied Oil and Gas at University of Port Harcourt, The Nation gathered, was said to have been full of life before her mobilisation for the one year mandatory service to father land. Investigations revealed that the deceased was said to have fallen off the string in the course of Man o War drilling exercise at the orientation camp. A source said after falling of the string, she was hurriedly rushed to the NYSC clinic at the camp for medical attention. The source added that medical personnel who are also corps members attended to her at the clinic. However, it was also gathered that when the deceased condition worsened NYSC management rushed her to General Hospital in Ilorin, the state capital for further medical attention where she reportedly died. It was gathered that Miss Amadi’s life would have been saved if she had been immediately taken to a functional hospital. A source accused the NYSC management of negligence. State spokesperson of NYSC, Mr. Oladipo Morakinyo confirmed the death of the corper. He said that, the autopsy and corollary reports are being waited to know the real cause of her death. “It is true we lost a corper, but NYSC will soon issue an official statement to that effect,” Mr. Morakinyo added.